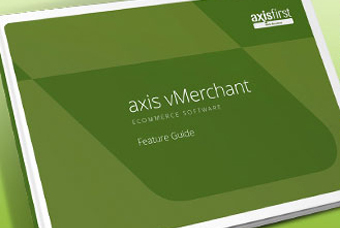 To showcase just what can be achieved with a website built on the latest axis vMerchant software, we have now produced an axis vMerchant Feature Guide. If you already have an axis vMerchant website, this useful guide will show some of the additional facilities that you can now take advantage of. This might be in the form of a new website or, in many cases, functionality that can be added to existing sites. If you do not currently have an axis vMerchant website, please look through the range of functionality described in the document - we think you will be impressed!